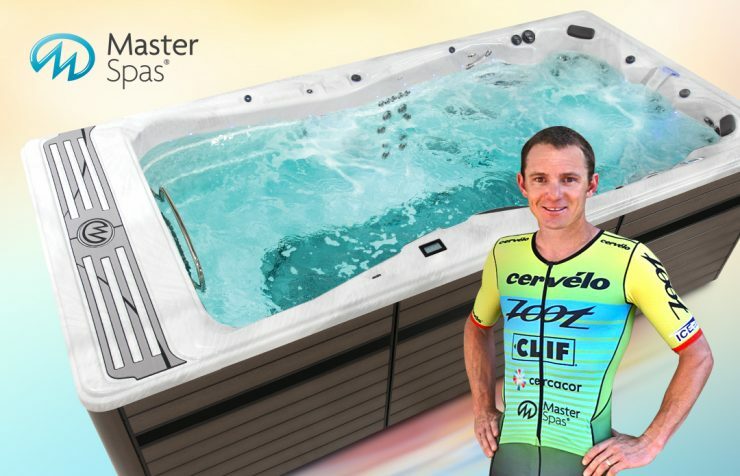 When Ben Hoffman lines up at the sandy beach of Nelson Mandela Bay for the swim start of the IRONMAN®African Championship on April 7, the professional triathlete will have a new sponsor on his kit — Master Spas. Hoffman is the newest brand ambassador for Master Spas, the largest swim spa manufacturer in the world and largest portable hot tub manufacturer that makes 100% of its product in the USA. Affectionately known as Hoff to friends and family, Hoffman got his start in triathlons when he was an undergrad at the University of Montana in Missoula. Since then, he’s taken the multi-sport scene by storm (or, at least we say so) with six IRONMAN® wins and a second-place finish at second at the IRONMAN® World Championship in Kona. The Grand Junction, Colorado-native also won seven IRONMAN® 70.3 events. Hoffman, 35, trains in Tucson, Arizona, where he lives with wife, Kelsey. The couple tied the knot in 2017, and they are expecting their first baby in September. The airless VIP Technology of the Challenger creates a current that is ideal for swimming. As part of the partnership, Hoffman will begin training in the latest innovation from Master Spas — an H2X Fitness Swim Spa Challenger model. The Challenger series from Master Spas bridges the gap between traditional jetted swim spas and propulsion systems. The unique airless jet system creates a water current that is more efficient, powerful, and smoother than the competition. With the ability to control the resistance and temperature, novice swimmers to competitive triathletes can enjoy a continuous swimming experience that mimics open water. That’s why swim spas from Master Spas are the official swim spa of the IRONMAN® World Championship. Hoffman is known for having a strong swim during triathlon events. He was the sixth person out of the water at his most recent race in March, the 70.3 Campeche in Mexico. He swam the 1.2 miles in 26:55 before putting his foot on the gas during the bike and run to come in third. 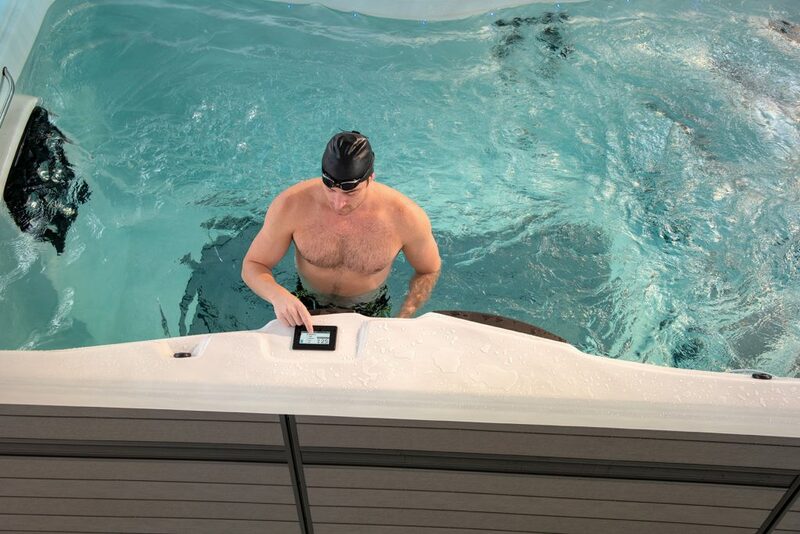 H2X Fitness Swim Spa Challenger models from feature an easy-to-use touchscreen display. The variable speed VIP system lets you set the pace, and go from zero to 25 depending on your fitness level. Hoffman is looking forward to using the Challenger swim spa to make further improvements. “We all know that training for a triathlon can be very time-consuming, and swimming is often the biggest barrier or performance limiter for the age-group triathlete. Even as a professional triathlete with a reasonably strong swim, I come from zero swim background, and I need to constantly monitor both my stroke technique and fitness in the water,” Hoffman says. “With the H2X Challenger swim spa right in my own backyard, I will be able to minimize the energy outlay to get my swim workouts done and focus on the technical work that needs to happen in the water. Training and recovering in the Challenger swim spa will be particularly helpful for Hoffman, as he ramps up his training after a grade 4 sacral stress fracture. The injury forced him to withdraw from the 2018 IRONMAN® World Championships in Kona. A swim spa offers everyone from first-time triathletes to world-class athletes like Hoffman the chance can progress to a higher-level training without additional stress. It’s all thanks to the natural buoyancy and resistance of water. But a swim spa is also a place where Hoffman will be able to unwind from a grueling training session. (We’ve heard that he logs up to 45 hours a week swimming, biking, and running.) The adjustable temperature and thoughtful jet placement deliver relief from aches, improves circulation, and brings nutrients and oxygen to the muscles.